The best kind of smoothies are ones that are nutrient dense, helping to provide your body with oils and vitamins that it needs in order to perform at its best. Aside from vitamins and nutrients, smoothies should also contain dietary fat, since fat is often required for many of the body’s functions. Ideally, a smoothie should contain coconut oil, egg yolks, cream or milk, and other nutrient dense foods such as fruit and, oddly enough, honey. The best type of honey to use in nutrient smoothies is Manuka honey. 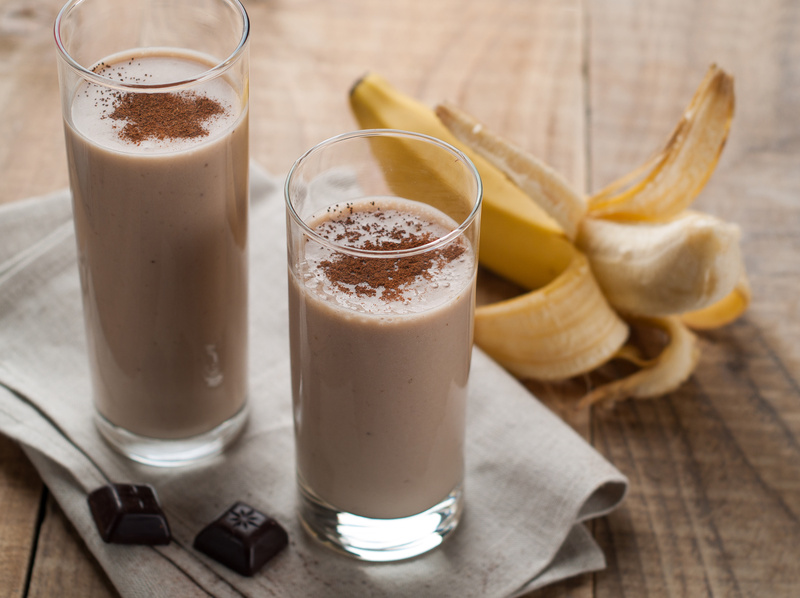 This banana and Manuka honey smoothie recipe is one that is both delicious and packed with health ingredients. Many of the ingredients that make up this simple smoothie recipe contain vitamins and minerals that are good for a variety of functions – bananas are beneficial for the kidneys and heart while calcium rich Green yogurt adds to your bone strength while providing your body with good bacteria. Something this smoothie has that some others do not is the added benefits of Manuka honey. Not only does Manuka honey add a great, natural sweetness to the smoothie without having to add any extra sugar, it is also chalk full of additional beneficial vitamins and minerals that normal honey does not have. First, Manuka honey has a much higher concentration of vitamins and minerals than processed honeys do, making it much more effective and Manuka honey also has many antibacterial and antiviral properties to help support your immune system and promote overall health of the body’s systems. Place banana, Greek yogurt, Manuka honey and apple juice in a blender. Secure the blender lid and pulse until the mixture is smooth. Many people who first begin juicing or drinking nutrient smoothies on a regular basis report feeling better from the inside out. Blending nutrient dense ingredients often helps to release the vitamins and minerals and helps to make them more easily absorbable by the body. Smoothies, such as the banana and Manuka honey one mentioned above, are a quick and easy way for individuals to get their daily intakes of fruits as well as vitamins and minerals without having to prepare an entire meal! If you would like to order Manuka honey (or any of our other varieties of honey) for your smoothies, please click here. Fighting Summer Colds with Manuka HoneyWhat Manuka Honey Should You Buy?